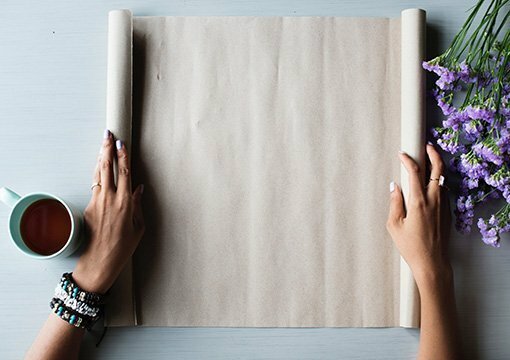 Embody’s 5-week yoga foundation courses are an excellent way to learn the basic principles of yoga and gain an appreciation of its many benefits. Our friendly and knowledgeable teacher Claire Hawkins will guide you through the fundamental yoga postures with an emphasis on correct alignment and proper breathing techniques. Once you’ve mastered the basics you’ll be ready to attend any of our open level classes scheduled throughout the week, giving you a chance to explore a variety of yoga styles at your own pace. You’re probably thinking if I can just do a little bit more, finish that to-do list and get that next achievement, everything will be okay. Yet the busier we get, the more stressed out we become, and the less likely we are to make clear decisions (let alone get that thing we really wanted in the first place). You could keep going the way you’ve been going, or you could come up with a new system. One that keeps you feeling motivated and energised each day. Instead of burnt out and busy. One that prioritises you and how you want to feel. Spring is the best time of the year to do a mini stocktake of where you’re at right now and to get clear on what it is you want in your life – and in this interactive group coaching session led by Danielle Brooker you’ll learn simple strategies to finally break up with busy for good, and instead bring more calm, peace and balance into your career, relationships and life itself. (Plus, if you’ve ever wondered what Life Coaching is about, this is your chance to experience it first-hand, and get all your questions answered). Want to know more? Email Danielle directly: danielle@thedaisypatch.co.uk or head to www.thedaisypatch.co.uk. 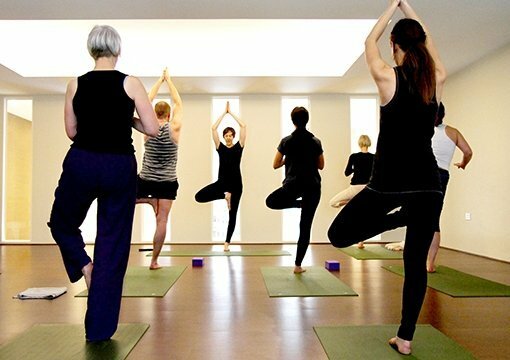 Focused on the fundamentals of yoga, our 2-hour improvers workshops led by Lynne Fugard are designed to equip you with the tools you need to make the very most of your yoga practice. In this month’s workshop the focus will be on inversions. Starting with a dynamic and stimulating yoga sequence to open, strengthen and prepare the body and mind for going upside down on the mat, we will then take the time to playfully explore several exercises, techniques and tips that allow you to feel the safe alignment, engagement, fluidity and confidence required to float and fly in your yoga practice. Together we will work towards shoulder stand, headstand, handstand and beyond, with safe and simple beginner versions of these poses offered alongside the more advanced and challenging options – so whether just beginning to contemplate going upside down, or wishing to build on your existing inversion practice, this workshop has something for you. Join Rebecca Evans for this invaluable 5-week course introducing you to the many fitness and health benefits of Pilates. The course is ideal for individuals looking to join our group classes but who have little or no experience or knowledge of the Pilates Method. It’s also great for anyone relatively new to Pilates looking to review the fundamentals. During the course you will learn about the origin of Pilates, and be introduced to some of the key terminology. You will also be taught how to correctly and safely do a number of basic Pilates exercises, giving you the confidence and motivation to attend any of our Level 1 classes held regularly throughout week. 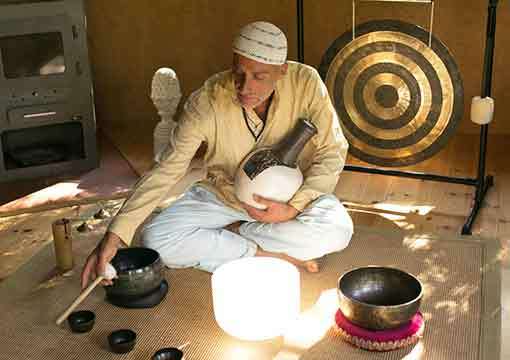 Join sound therapist Chai Francesco for a very special and very blissful evening of relaxation as you bathe in the sublimely healing tones of crystal singing bowls and the oriental gong. The resonance of these instruments is tangible, making it not just an auditory experience but also like receiving a sound massage! Throughout the ages, sound has been used to heal, strengthen and soothe. During a sound bath, most people experience a wonderful feeling of relaxation, and you can expect to leave the session feeling balanced, restored and ready to enjoy the weekend ahead. Read more about the benefits and science of sound baths in this blog post.